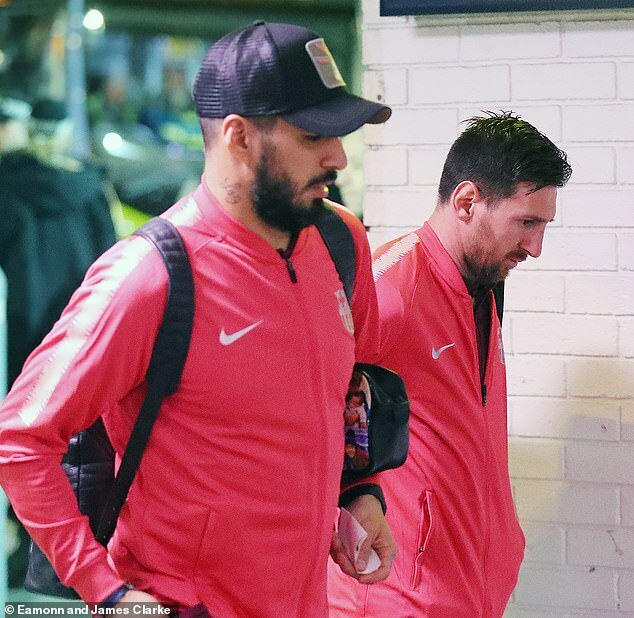 Lionel Messi appeared unaffected by his swollen nose as Barcelona’s players flew out from Manchester airport after their 1-0 victory over Manchester United in the first leg of their Champions League quarter-final. Messi was the recipient of a bruising challenge from Chris Smalling at Old Trafford, which left him bloodied and requiring treatment. 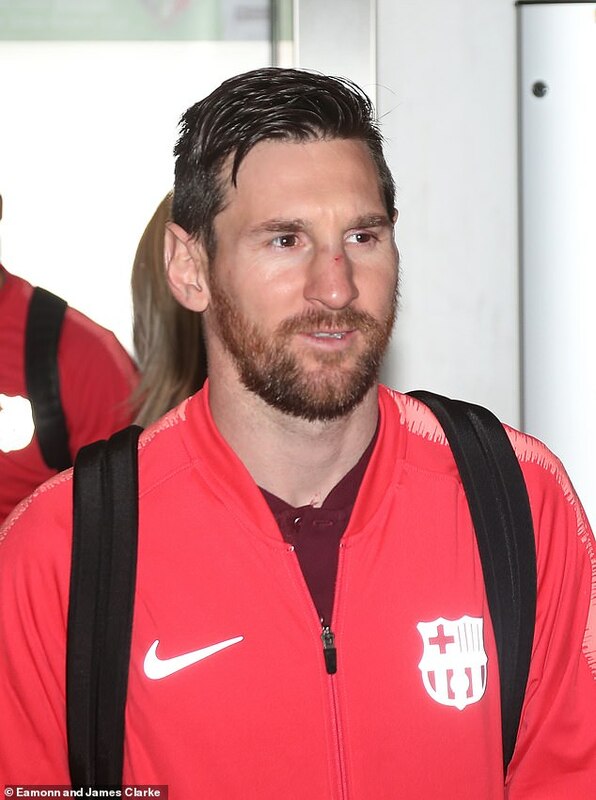 The Argentine was able to continue and played the full 90 minutes, and he appeared to be in good spirits – albeit with an evidently bruised nose – as he prepared to fly back to Spain. Messi had teed up Luis Suarez for the game’s only goal – but his header was diverted into the net by United defender Luke Shaw. 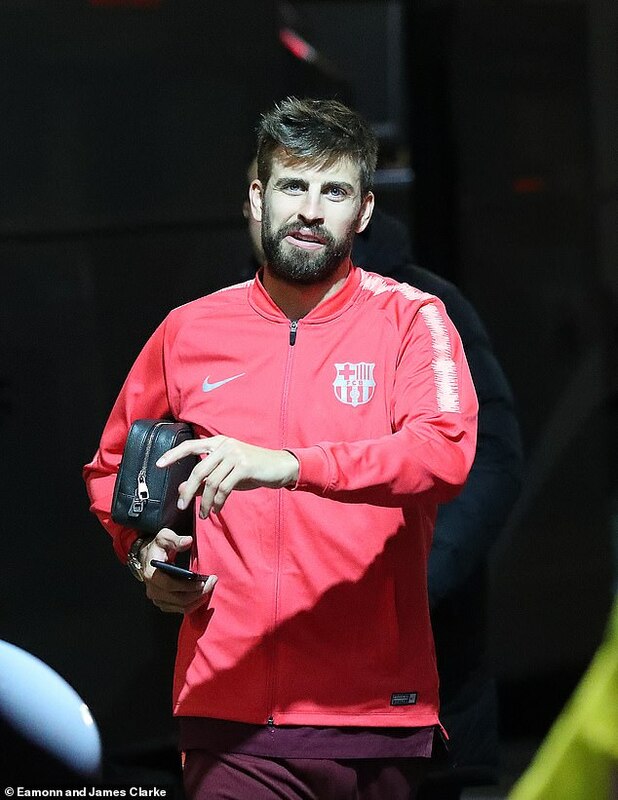 Suarez carried a travel bag with him as he made his way towards a late-night flight back to northern Spain, accompanied by his team-mates. Gerard Pique’s return to Manchester would prove to be only a fleeting visit but one that secured a vital victory. He led a back-line that successfully managed to repel Manchester United – who were unable to muster a single shot on target. United now face the task of scoring at the Nou Camp next week should they hope to reach the last four of the Champions League for the first time in eight years.